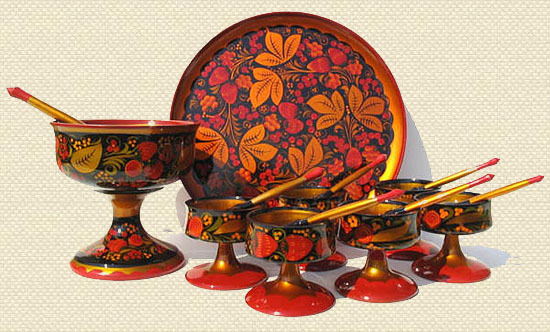 The list of souvenirs that you can buy in Russia is varied: you have wooden souvenirs (for example, matryoshkas), clothes (the shawl, the russian cap or ushanka, hockey jerseys or clothes and Soviet accessories), metal utensils (such as the Samovar), semiprecious stones (such as amber or malachite), porcelain (Gzhel) or food products (caviar, vodka or zefir). 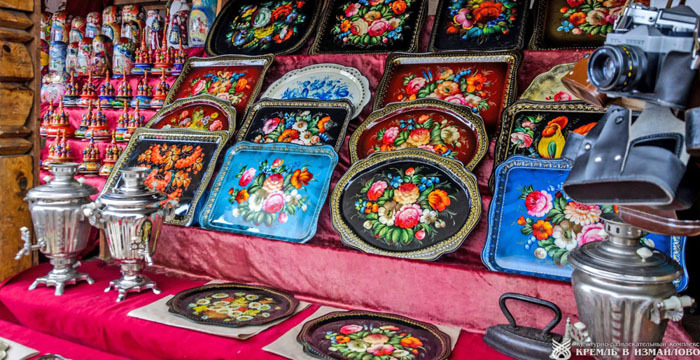 If you are traveling to Russia, you are very likely to want to buy souvenirs for yourself or your family or friends. The possibilities are very varied, so in this article I will make a selection of the most popular and characteristic Russian souvenirs. In shopping malls such as GUM. In specialized markets in the sale of souvenirs, like Izmailovo Market. In the shops of the main museums. In supermarkets or food stores like Eliseevsky. In the duty free area of ​​the airport (though here prices tend to be higher). Matryoshkas are probably the most requested souvenir by tourists in Russia and are universally recognized as the symbol of the country. It is a set of traditional dolls (its origin dates back to 1890) whose originality consists in that they are hollow, so that they can harbor a new doll inside, and in turn another, in a variable number that can go from five (most common) to twenty or even more (they have been made up to 75). 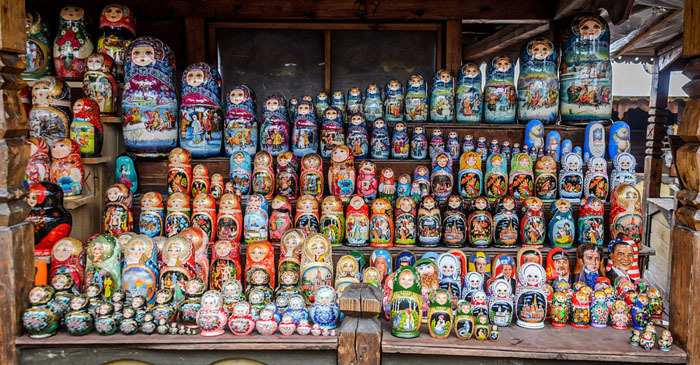 Due to their popularity, in addition to the more traditional matryoshkas, you can also find some with the faces of politicians, movie characters or famous people from Russia and other countries. It is a rather economic and light souvenir, an important issue when packing them in the suitcase. Another well-known souvenir are wooden spoons, plates and bowls, painted in Khokhloma style (vivid and golden colors on a dark background), a style that first appeared in the second half of the 17th century in Nizhny Novgorod. The good thing is that it is also a very light souvenir, though it is a material that does not support liquids and therefore is not used to take soups or tea. Many Russians like this style and have their mobiles, computers or even cars, in this striking style. As for wooden gifts, it is also worth mentioning the painted boxes in Palej style (a village in central Russia), which women like to use as jewellers. They are decorated and show aspects of real life, stories, etc. Very well-known are Russian caps, such as the Ushanka, a cap of flexible earmuffs believed to have been adopted by the Mongols during the early medieval invasions. It is a headwear that has been identified with Russia, commonly known as the “Russian hat”. 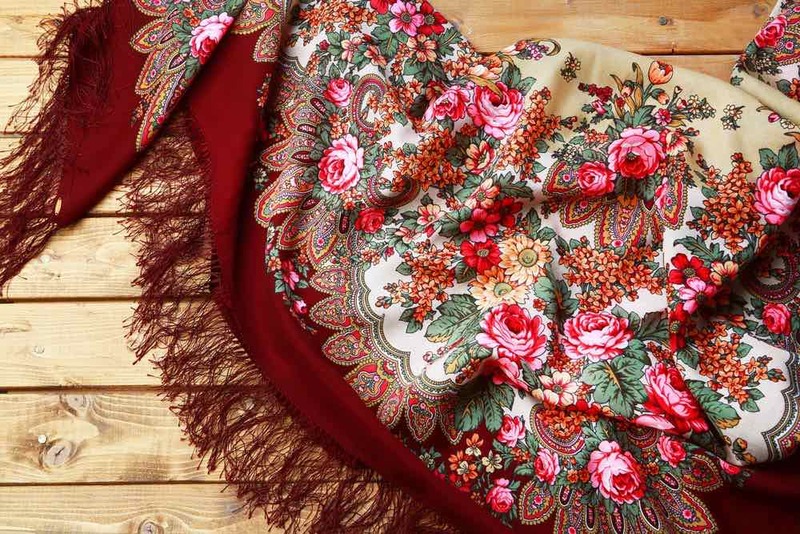 The Russian shawl is a garment that is more than 200 years old, but still fashionable among Russian women. The most traditional are still made in Pavlovsky Posad. It is a garment similar to the scarf but of greater dimensions, which is put on the shoulders over the dress and is used both for shelter, as well as an elegant and seductive garment. 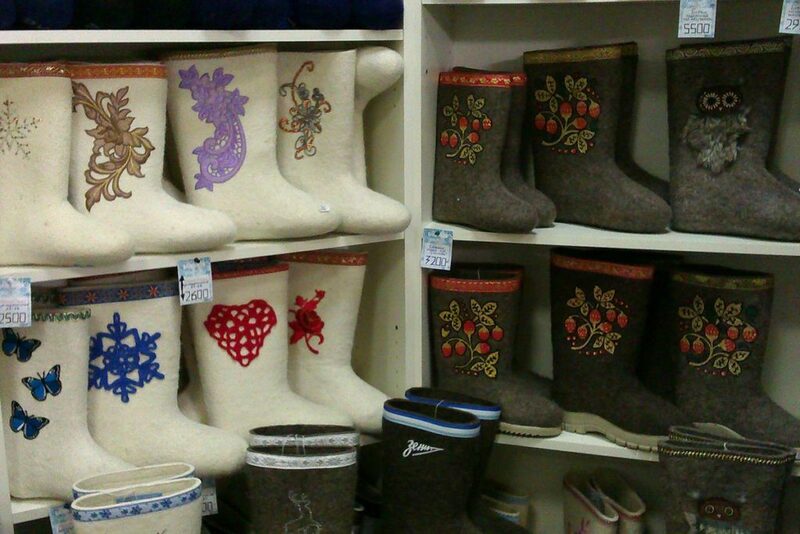 Also very characteristic are the Russian boots, known as Valenki, made of sheep wool and used during the winter. The oldest and most traditional are dark and quite ugly, but the modern ones are sold with a great variety of designs and colors and usually come with a rubber sole. For sports fans, it must be said that football and ice hockey are the two most popular sports in the country. 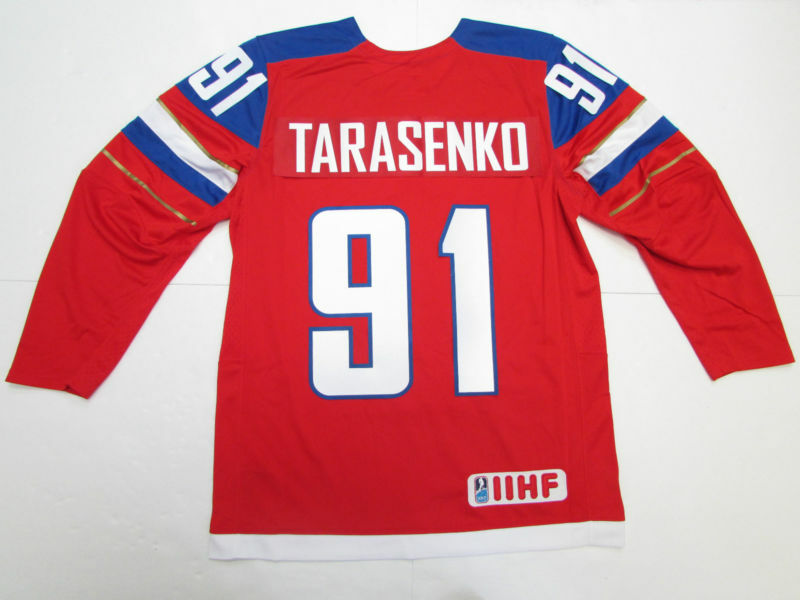 For many years, hockey jerseys are a hotly demanded souvenir by tourists, and with the recent Olympic Winter Games in Sochi or the next World Cup in Russia in 2018, the range of possibilities increases: football jerseys, scarves, plush pets for sporting events, key chains, fridge magnets, etc. It is also possible to find memories of the 1980 Moscow Olympics. Memories of the Soviet period are also very popular. Not only military caps, but also uniforms, belts, medals or badges (some with drawings of KGB agents), and old billets and coins. If you have enough space in your suitcase and weight is not a problem, you can choose to buy a Russian Samovar, a metal container in the form of a coffee pot, which serves to boil water and make tea. 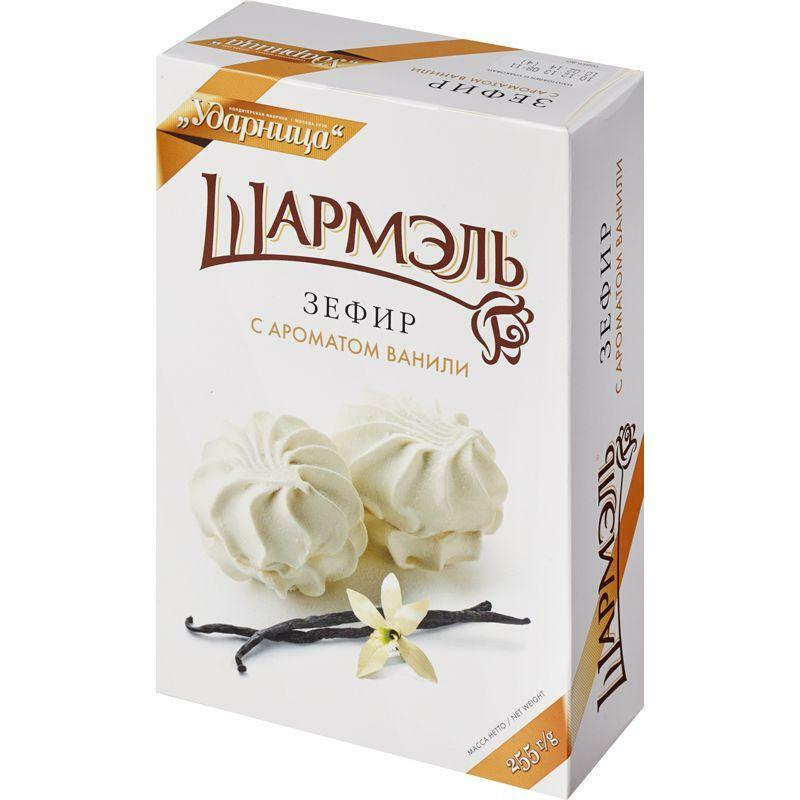 It is an element that over the centuries has become an icon of the Russian tea culture. It is a more expensive souvenir. 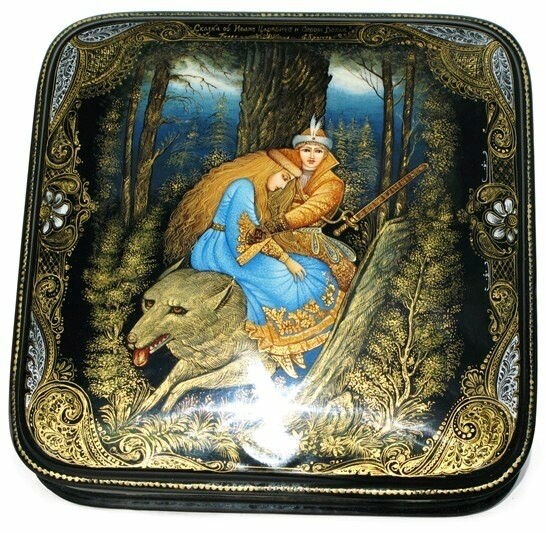 Another well-known gift is the metal trays painted in the Zhostovo style (population of the province of Moscow) and that arose in the early nineteenth century. 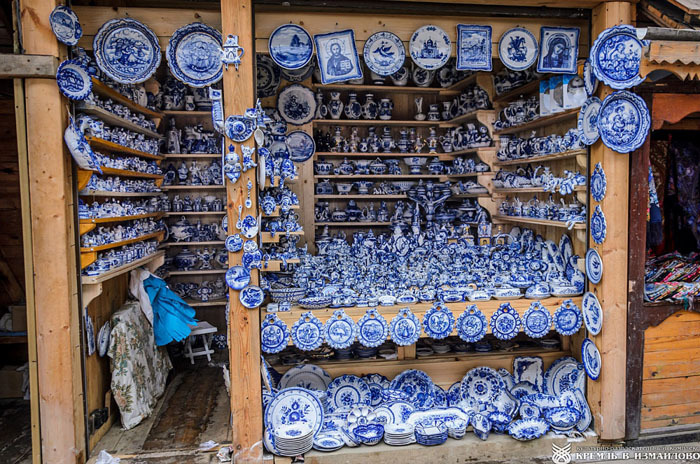 In the town of Gzhel (near Moscow) a type of ceramic is elaborated whose origin goes back to principles of the Nineteenth century; with white and blue motifs and that include vases, tiles, statuettes, etc. 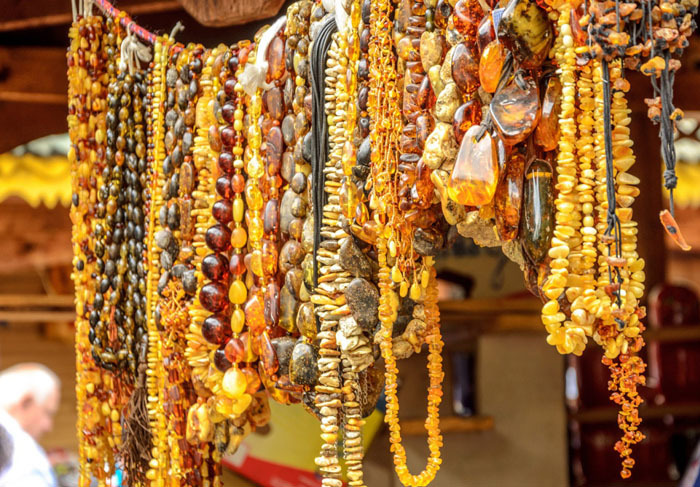 Amber is a semi-precious stone made of fossilized resin and it’s usually light brown in color. They are sold in many places and are much sought after by tourists. We can also mention other semiprecious stones like the malachite of the Urals, of green color. 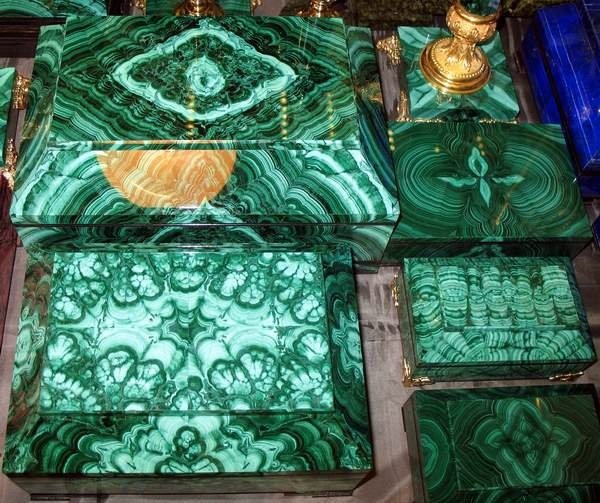 You can find necklaces, cufflinks or boxes or table games made of malachite. Caviar is the food product most demanded by tourists. 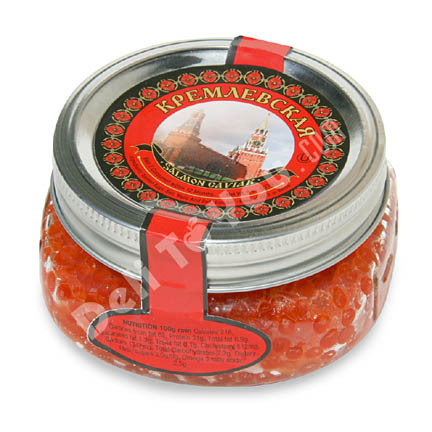 While black caviar is quite expensive, red caviar is quite affordable. It can be purchased in cans or glass jars. 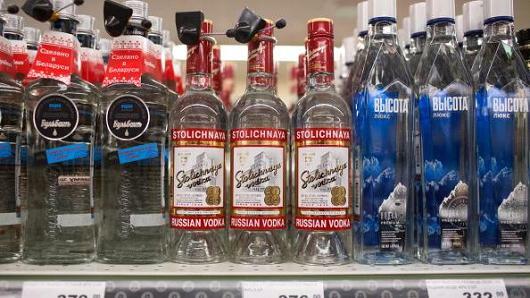 Vodka is the most famous drink in Russia. It is made with cereal, usually wheat, though sometimes rye is also used. In addition to white vodka, you can also buy vodka with flavors (Limonnaya, Okhtnichya, Starka, etc). Beer is also very popular in Russia. The best known brand is Baltika, founded in 1990 in St. Petersburg, though today it is owned by Carlsberg, a Danish group, which dominates more than 40% of the Russian market. Although chocolate is somewhat more characteristic of Belgium or Switzerland, some Russian chocolates are very good and can be a good gift. A sweet that is characteristic of Russia is Zefir, a kind of meringue made from fruit puree, eggs and sugar. They are very light, contain no dairy products and are low in calories. It is not easy to find a Russian gift for younger children, as all toy stores are flooded with Western products. 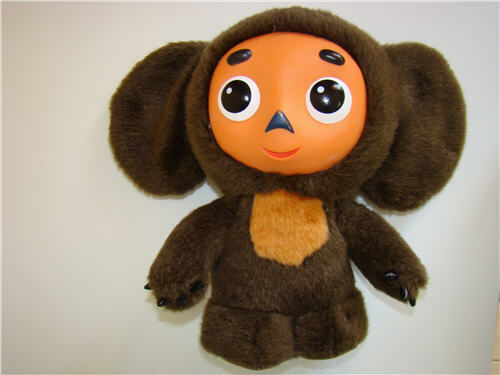 One option is to buy a Cheburashka doll, a classic Russian cartoon character, very popular in the country. What souvenir have you brought from Russia? You can leave your comments below.